A Realtor ® who will listen to your goals and help you reach those goals. As a life time resident of North Idaho and a Harrison local, she has the knowledge of the area and market to provide you a strong advocate on your next real estate transaction. Providing real estate services in Harrison, St.Maries, Coeur d’Alene and surrounding areas including Kootenai, Benewah and Shoshone counties – residential, vacant land, waterfront, and investment properties. Boat slip rentals. Fishing licenses (regular and for fishing on Indian controlled waters). Boat inspection for required Invasive Species sticker in Idaho. Boat registration. 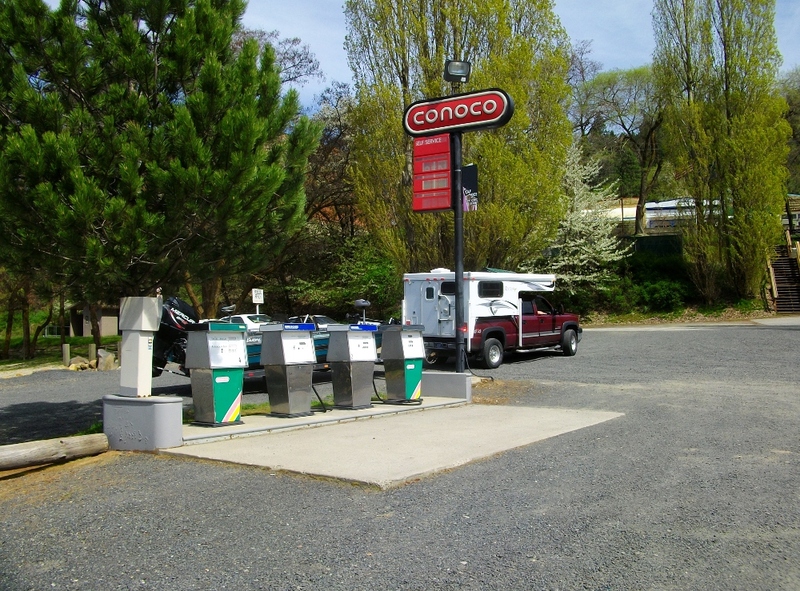 Gas station is open during the fall and winter (just call); convenience store is closed for the fall/winter season. Secure inside boat storage. Boat and motor repair and canvas manufacturing. Housecleaning, house sitting, year-round caretaking & CNA services. 27 yrs. experience, licensed & insured. Shuttles are by appointment and are available to all trailheads. Vehicle transfers may also be arranged. Need help planning your trip? Give me a call. All services provided by Lou's Sightseeing Cruises and Marine Services LLC. Specializing in ranches, homes, acreage, waterfront. Landscape conifers and Christmas trees, wholesale and retail. With a wide variety of menu items we cater any size and type of event. We proudly serve Scheffelmaier Meat products. Locally known as Harrison Dock Builders, a home grown company with over 30 years’ experience. While we still are rooted to our heritage of supplying site specific dock systems to residential and commercial customers on Lake Coeur D Alene, we have become a recognized leader and innovator in the marina dock industry. We are a Marine Contractor that does it all from marina consulting, marina design, engineering, dock manufacturing, retail / wholesale and service. Reservations only until June 9th then open 7 days a week. 100 N. Coeur d'Alene Ave. Architectural Salvage; Farm & Ranch Salvage; Building Demolition/Removal; Liquidations. Consignment, Buy & Sell. Open weekends in summer. For weekday visits call Paul to make an appointment. Located next to a world-renowned bike trail, The Cycle Haus Bikes & Brews offers bicycle rentals, service, and sales, along with delicious Doma coffee, and craft beer. With excellent products and experience, this is a place where people can come and enjoy good vibes, whether their a cyclist or not. The great ambiance offers indoor seating with a one of a kind bar and a court yard that allows everyone to kick back and unwind while enjoying the feel of the local culture. 6223 E. Blue Lake Rd. Full service tax preparation, accounting and payroll service.